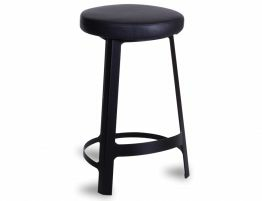 These modern bar stools in black offer a contemporary look that is tempered by a subtle vintage styling reminiscent of a workshop or lab stool. 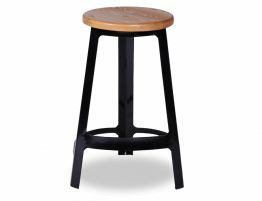 The Cappa Bar Stool - Black with Solid Ash Seat might just be the perfect update for your breakfast bar, counter seating or kitchen update. 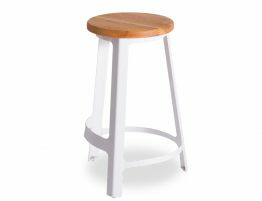 These backless wood barstools are impressive objects of interest but also tuck neatly beneath counters for a clean, minimalist look. 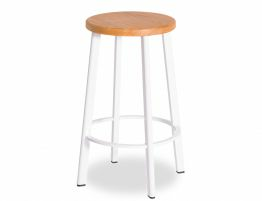 This modern black barstool with its steel frame and natural ash wood seat is designed for visual appeal and yet built to last. 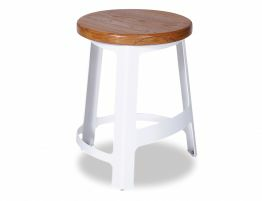 With natural materials and premium construction, this black counter stool is built to withstand heavy use, regular patrons and even the tiny stick fingers and kicking feet of your growing family. 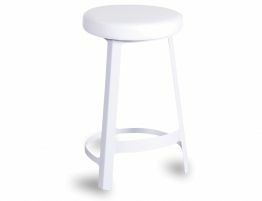 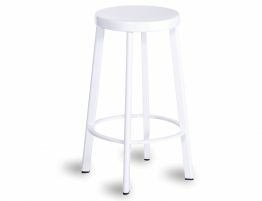 Get the look you want at a price you can live with and shop Relax House today for the best deals on modern barstools.